The entrance area of the holiday home consists of a small vestibule equipped with a wardrobe. 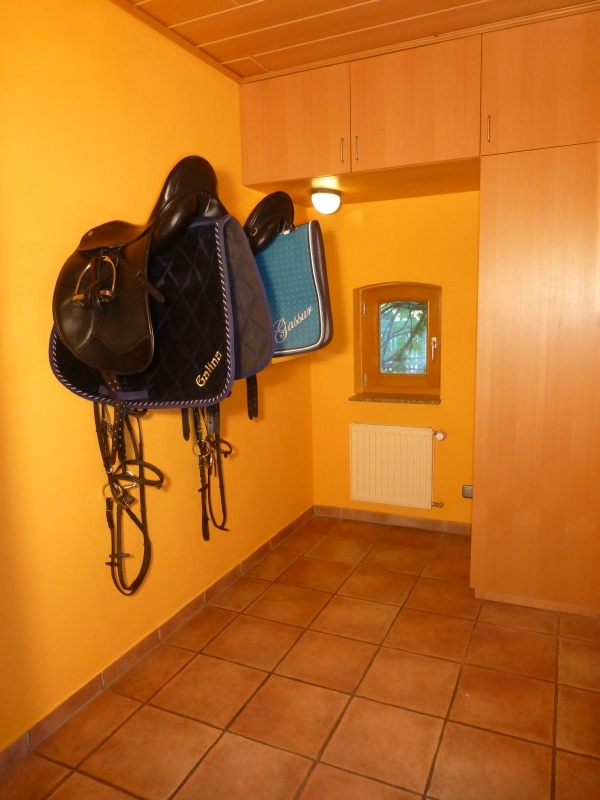 For our rider's guests we mounted additional foldaway saddle and bridle holders. Thus you could store your expensive, valuable saddles in your home in a dry, heated room and needn't worry about damages. Also your outdoor clothes and shoes will find their place here and needn't be kept in the living or sleeping room.